Thanks for sharing this blog. 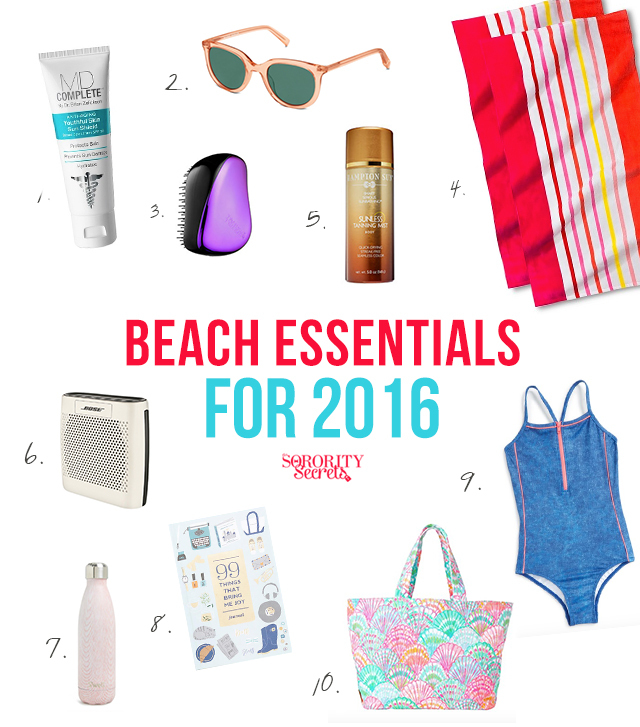 I think these ten items must be included when you go to the beach. The best way to escape scorching heat of the sun is to wear sunglasses and sunscreen. Sunglasses look highly stylish and fashionable, as well as they are practical and useful. They are available in many different styles, shapes, sizes and colors. You can buy sunglasses at very affordable price from http://www.elsunglasses.com as they are wholesale distributor for fashion accessories.